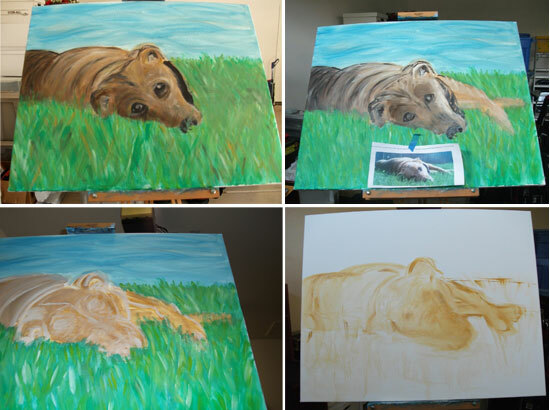 Above is the completed painting and my work in progress pictures. The canvas is all wrapped up and ready to be shipped to New York. 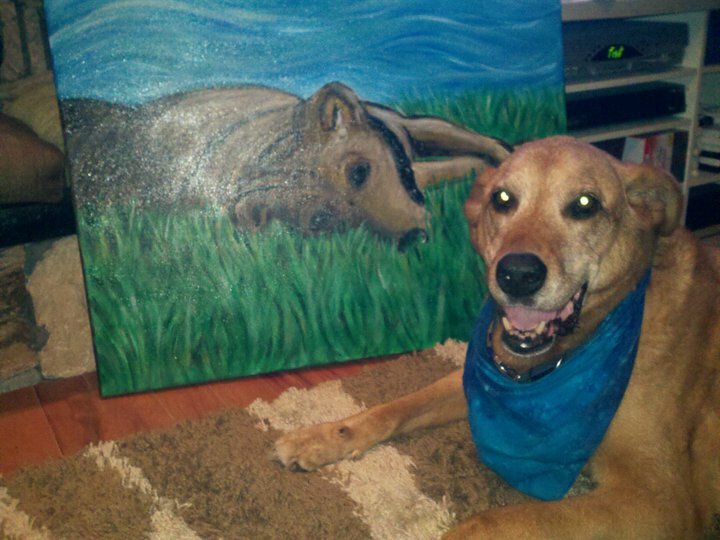 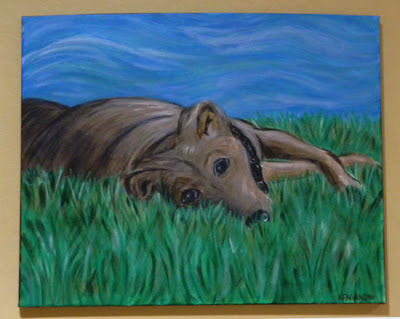 Here is a picture of the happy client, Mr. Scooby!